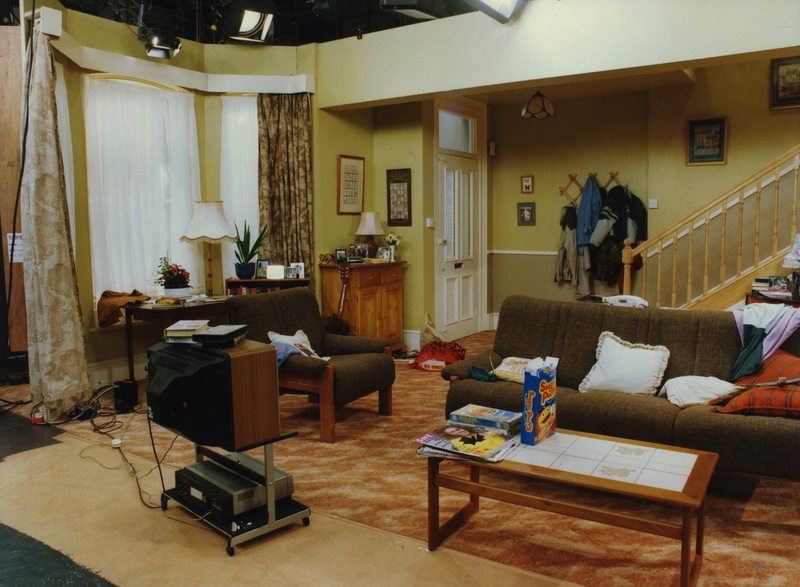 Two Point Four Children was a studio based sitcom, with an audience, and outside broadcast inserts, hosted at Pebble Mill in Studio A. It was directed and produced by Richard Boden, written and created by Andrew Marshall. It was broadcast in the 1990s, there being eight series in all, although I don’t know how many were made at Pebble Mill. It featured the lives of the extremely very average Porter family, who often faced unusual situations and bad luck. Belinda Lang played Bill Porter, with Gary Olsen as Ben Porter.